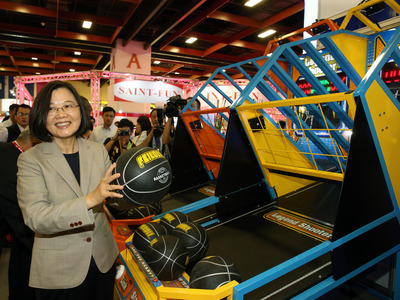 Taipei, March 21 (CNA) The local central bank has lowered its forecast for Taiwan's gross domestic product (GDP) growth in 2019, while leaving its key interest rates unchanged for the 11th straight quarter to support steady development of the domestic economy. At its quarterly policymaking meeting Thursday, the central bank decided to cut its 2019 GDP growth forecast by 0.2 percentage points to 2.13 percent from its estimate in December 2018. The cut in the 2019 GDP growth forecast largely reflected an expected moderate economic growth in Taiwan this year as a result of lower domestic demand, the continuing trade conflict between the United States and China, and restructuring of global supply chains, the central bank said. If the government can convince Taiwanese businesses to return home and make investments, that would help boost the country's economic growth, the bank added. Meanwhile, it said it has decided to keep the discount rate at the existing level of 1.375 percent, the rate on accommodations with collateral at 1.750 percent, and the rate on accommodations without collateral at 3.625 percent. Cathay Financial Holdings Co., Ltd. said that the bank made that decision because there was no imminent pressure for the country to raise interest rates as consumer inflation was expected to remain mild and the economic growth to slow down. The central bank also took into account the growing uncertainty in international trade, therefore, it is unlikely to raise interest rates for March or for the whole year, Cathay Financial Holdings said. Rather, the central bank is likely to cut interest rates this year, the company said. A market expert also expressed a similar view, saying a rate hike is unlikely due to the weak performance of the domestic economy since the beginning of the year.